The world’s most advanced and expensive multi-role fighter program could come short of the US Department of Defense (DOD) and Pentagon hopes, as years of weak development saw cost overruns and perpetual delays. Problems with design and computer systems made the F-35 Joint Strike Fighter program even more frustrating; for thirteen years Pentagon has defended its position on the F-35, but it looks like now could be the right time to shift priorities. Let’s look the truth in the eye: the overall cost of developing and purchasing the jets amounts to $400 billion while operating and maintenance costs are skyrocketing upwards of $1.5 trillion. And why have we not seen any positive outcomes yet? Moreover,the most expensive weapon in history lost to a 1970s-designed F-16 during a mock aerial dogfight last January. 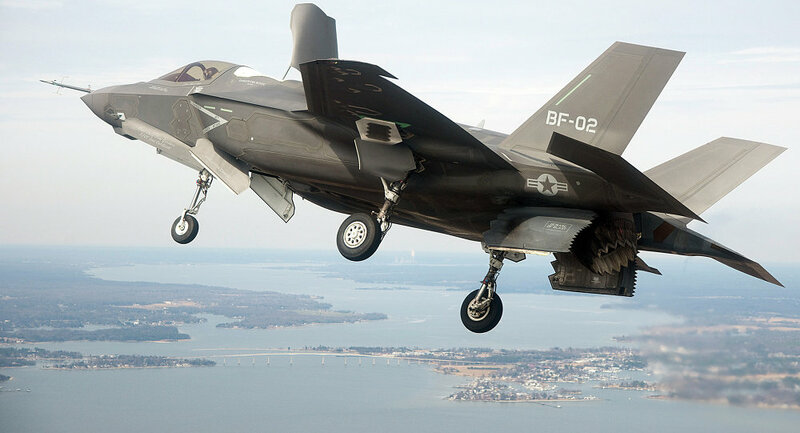 The Pentagon claimed that they would need exactly 2,443 combat F-35s, plus 14 development aircraft, to restrain and battle with potential military rivals like China. The question asks itself: the US, country with alternate number enemies from without, which sees threats lurking in almost from every corner, shouldn’t it reconsider the role F-35 plays in its defense? Marine Corps commandant General Joseph F. Dunford, the next chairman of the Joint Chiefs of Staff nominee, told the Senate Armed Services Committee that the F-35 development and purchasing plan is under review. “Until the analysis is complete, we need to pursue the current scheduled quantity (2,443 aircraft) buy to preclude creating an overall near-term tactical fighter shortfall,” said Dunford. “The jet fighter lacks the sensors, weapons and speed that allow a warplane to reliably detect and shoot down other planes in combat. At least not compared to modern Chinese- and Russian-made jets - the planes the F-35 is most likely to face in battle in some future war,” said War is Boring report. 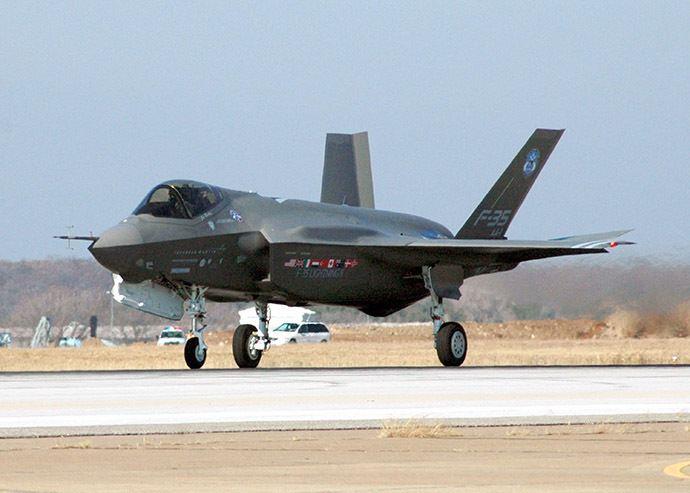 Recently the Australian military canceled plans to purchase the F-35B Joint Strike Fighter landing aircraft. In January, the Los Angeles Times asked a federal judge to order the Pentagon to release the information on the Ground-based Midcourse Defense (GMD) system. The Pentagon responded on Friday by claiming the records are exempt from disclosure under the Freedom of Information Act, and asked the judge to dismiss the case. While the government may believe it is being asked to disclose sensitive trade secrets, the exemption it cited does not apply to information created by a government agency, according to one legal expert. “It strikes me that the government’s position here is very weak,” Scheer said in an interview with Courthouse News. The suit by the Times argues that the GMD’s performance does not justify the $40 billion taxpayers paid to develop it. Aviation giant Boeing, defense contractor Raytheon, security company Northrop Grumman, and space technology company Orbital Sciences delivered the system to the government, according to the Times. The Times asked for financial records from December 31, 2001 to March 1, 2014 under the Freedom of Information Act. The public has a right to know how much was paid in bonuses and incentives because of the “staggering sums spent” on the system, the newspaper says. In its coverage of the defense system, the Times reported that the system failed eight of 17 interception tests. Of four interception tests between January 2010 and June 2014, the system failed three. WASHINGTON, January 14. /TASS/. The US Secretary of Defense Chuck Hagel says the US needs to create a new generation strategic bomber to increase the country’s deterrence potential. Hagel flew to Whiteman Air Force Base where 20 B-2 bombers are deployed. 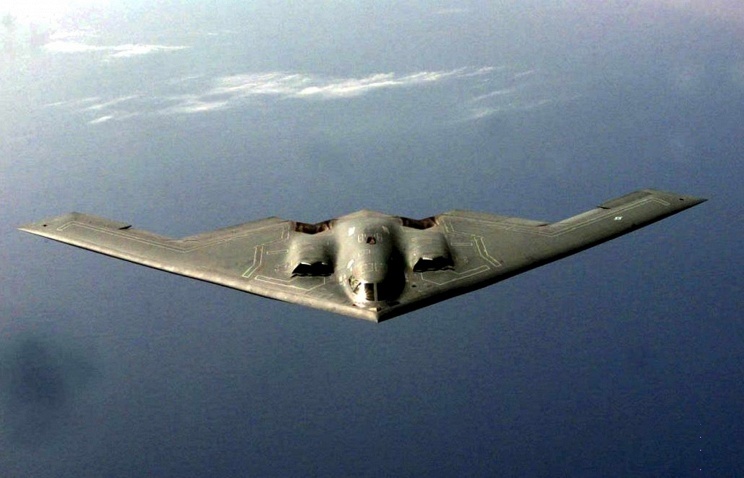 The B-2 bomber is considered the only long-range nuclear-capable bomber using stealth technology. The US Air Force long-range bomber fleet also incudes B-52 and B-1 bombers. Pentagon officials want to start replacing the existing models with a new long-range stealth plane by the mid 2020’s. The B-2 domber will be deployed by the mid-2040’s. Such companies as Boeing, Lockheed Martin and Northrop Grumman are currently working to develop the new bomber. RT: The F-35 fighter jet has been strongly criticized. Is that warranted do you think? And then the fourth block, which the first block that even provides for the gun, that even allows you to shoot the gun, is not due until 2019. And we won’t know whether that block of software is working till the end of that year. 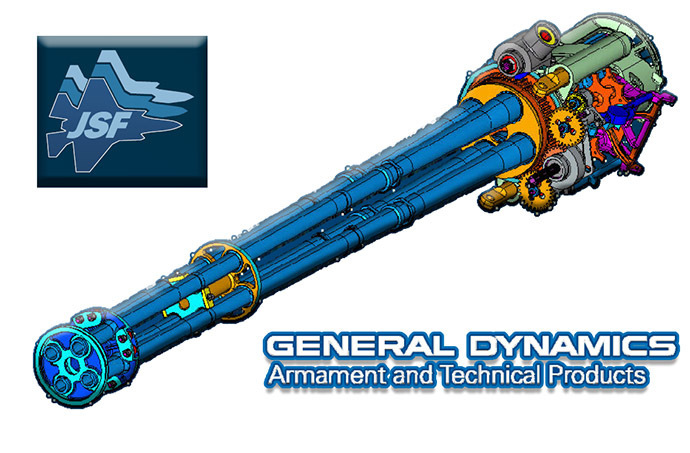 So for now, for the next four years, we have no possibility of shooting the gun, and it is the single most important weapon for close support and for close in-air combat. Needless to say the airplane is incapable of doing either one of them at all without the gun. And even after the gun works, if it does, which we don’t know, the airplane will be hopelessly incapable of close support and probably worse at close-in dogfight than the 1960s MIG-21. RT: There are three versions of the plane – do all of them have this computer glitch? But it is not that it is a glitch that has suddenly arrived and said, “Oh, we were going to have a gun, we won’t have one till 2019” – they never even planned to have software to have the gun work until 2019. And they are so far behind schedule, it is amazing. Since the beginning of the software engineering every year they’ve been losing six months of schedule. So they are supposed to advance a year – every year they lose six more months. RT: Are the guns really that important? Is this a major drawback? Only the gun can be brought in that close to friendly troops to get them out of trouble. So in the deepest emergencies, the gun is the most important thing. But the air force has no interest in supporting troops. It has no interest in close support. So that is why they have scheduled the software that couldn’t even possibly shoot the gun so late in the program – because they are struggling with other enormous problems and they don’t care for close support. Whether this airplane does it or not –does not matter. They’ll just promise it will do it and let’s cancel the A-10 that does it today superbly. Let’s cancel that right away and we’ll wait for a while, maybe the F 35 will work and maybe it won’t. RT: What impact will it have on the F-35 program? Now when it is known the jet will not be fully operational until at least 2019 – is there a chance that the Pentagon will abandon it altogether? That is exactly what they did with the F-111, which was equally a huge technical embarrassment and all the sudden the airplane wasn’t that necessary and instead of building 1,500 we only built 500. I think that is the scenario you will see for the F-35. Out of embarrassment in the next five years, they’ll simply walk away from it. 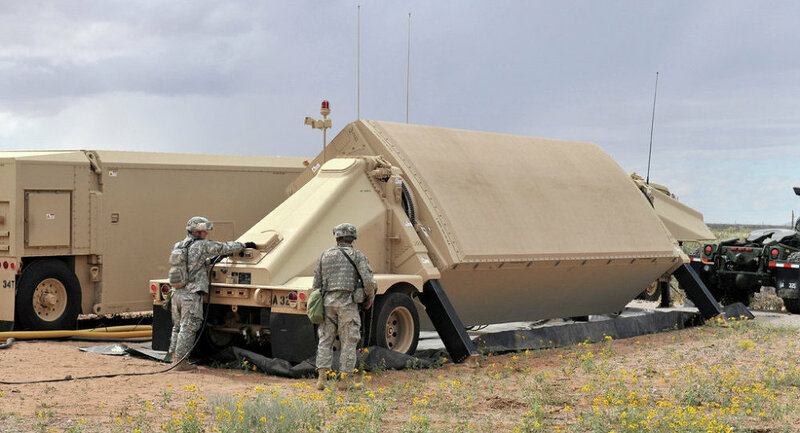 The second radar deployed to Japan is aimed “to enhance sensor coverage” for ballistic missile defense of Japan and the United States, and to “augment the existing radar” located at Shariki in northern Japan. WASHINGTON, December 26 (Sputnik) — A second US missile defense radar has been deployed in Japan’s central Kyoto prefecture, the Pentagon said Friday in its press release.”The US Department of Defense and Japanese Ministry of Defense announced today the deployment of a second Army Navy/Transportable Radar Surveillance (AN/TPY-2) radar in Japan to Kyogamisaki,” the press release read. The second radar deployed in Japan is aimed “to enhance sensor coverage” for ballistic missile defense of Japan and the United States, and to “augment the existing radar” located at Shariki in northern Japan, according to the release.”The AN/TPY-2 radar is a transportable system that performs as a highly-capable sensor for both homeland and regional missile defense,” the release said indicating that the new radar deployed to central Japan would be used exclusively by US Pacific Command and US Northern Command. In 2006, the United States deployed its first radar of this kind to Japan’s northern Aomori Prefecture. Similar US forward-based radars are located in Turkey and the Middle East.Russia has been criticizing the deployment of US missile defense systems around the world, saying they undermined the global and regional security environment, especially military and nonproliferation processes. According to Pentagon Press Secretary John Kirby, US provides Ukraine only non-lethal military aid, though US State Department spokesperson Jeff Rathke on Friday announced that lethal assistance “remains an option”. 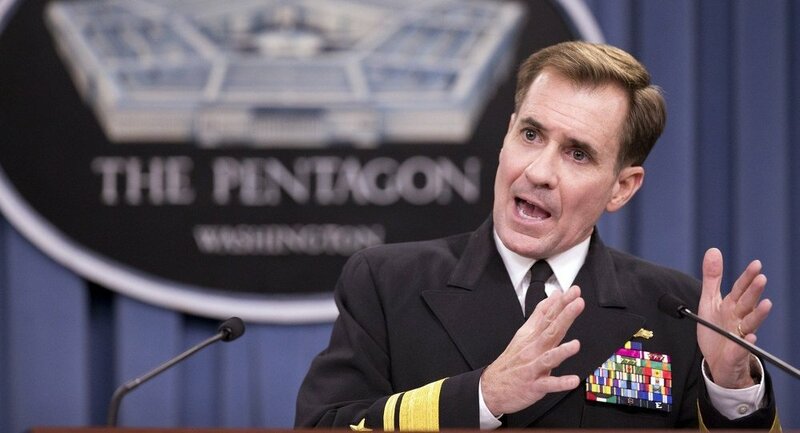 WASHINGTON, November 26 (Sputnik) – The Unites States provides exclusively non-lethal assistance to Ukraine, Pentagon Press Secretary John Kirby has stressed. “Nothing has changed about the non-lethal assistance that we continue to flow to Ukrainian armed forces and security forces,” Kirby told reporters Monday. When asked to confirm that the US Department of Defense has made no decision on providing lethal aid to Ukraine, Kirby replied that the United States “continue[s] to focus on non-lethal assistance to Ukraine”. Last Friday, US Senator John McCain told Sputnik that the newly-elected US Congress will pass resolutions and apply pressure on US President Barack Obama to provide Ukraine with lethal military assistance. Also on Friday, US State Department spokesperson Jeff Rathke announced that lethal assistance to Ukraine “remains an option”. Last Thursday, Russian Foreign Ministry spokesman Alexander Lukashevich said that if the United States decides to supply lethal weapons to Ukraine, it would be a direct violation of the Geneva Agreements. During his September visit to the United States, Ukraine’s President Petro Poroshenko requested lethal military assistance from the Obama administration. The White House has so far refused to grant it. In mid-April Kiev authorities launched a military operation against independence supporters in eastern Ukraine, who refused to recognize the new government which came to power as a result of a coup in February. 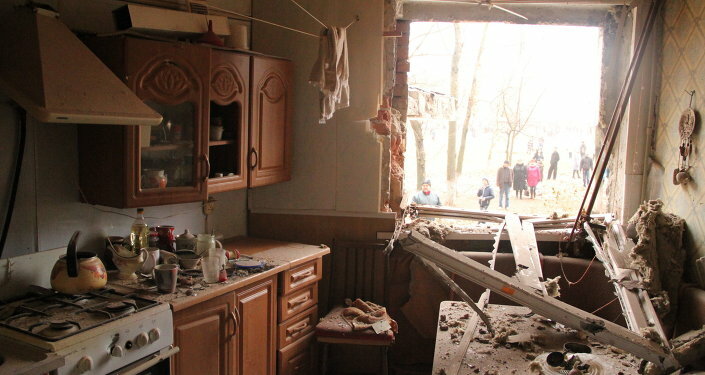 The offensive triggered a humanitarian crisis in the affected areas, prompting Russia to send in several humanitarian convoys to the Donetsk and Luhansk regions. October 29 – A delegation from the Pentagon is presently in Moscow discussing the details of post-sale servicing of Russian helicopters for the Afgh…an military, a deputy director of the Russian Federal Service for Military-Technical Cooperation said Wednesday. “A US delegation is currently in Moscow holding negotiations. They expressed a strong desire to continue cooperation with Russia. The issues of post-sale servicing and the deliveries of spare parts for the Mi-17V5 helicopters for the Afghan military are being discussed,” Anatoly Punchuk said on the sidelines of the Euronaval-2014 exposition in Paris. Earlier in October, US Army Gen. John F. Campbell told reporters that Russian the Mi-17 helicopters had been a “game changer” in the movement of Afghan forces and supplies in the fight against Taliban insurgents. Russia will complete its contract with the Pentagon at the end of October on the delivery of 63 Mi-17V5 tactical transport helicopters for the Afghan military. An official ceremony handing over the last four aircraft will be held on October 29 at the Kazan Helicopter Plant. The United States sanctions, imposed on Russia for its alleged role in the Ukrainian crisis, did not affect the supply of Russian helicopters to Afghanistan. Apart from the helicopter deliveries Russia also ships spare parts for helicopters to the Afghan army and trains specialists on helicopters maintenance at a training center based at the Novosibirsk Aircraft Repair Plant.